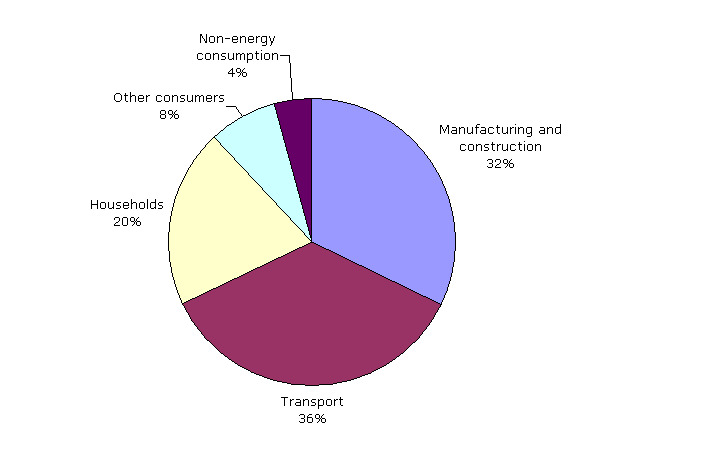 Slovenian households consume around 20 percent of final energy. Consumption has decreased since 2003, mainly on account of petroleum products, consumption of which fell in 2007 by 40% compared to 2003. 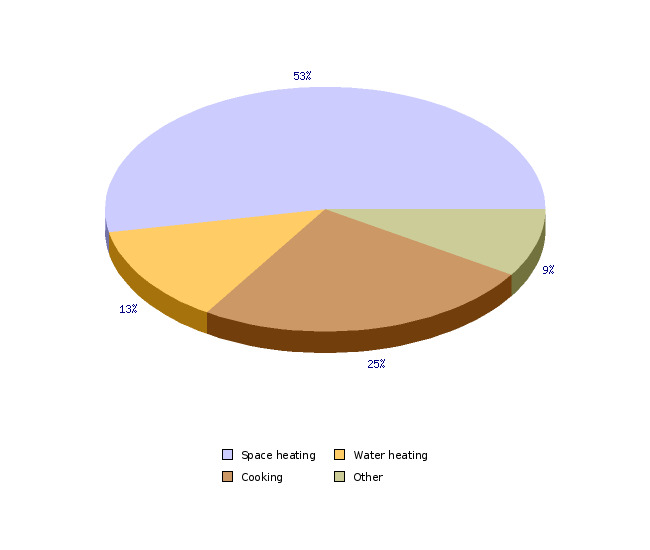 Most energy is consumed for space heating, amounting to 53% in 2002. In the same year, 25% of energy was spent for cooking and 13% for heating water. Methodology and frequency of data collection for the indicator: Annual data collection on energy balance and a 5-year data collection on final consumption of energy and fuels in households by energy sources. 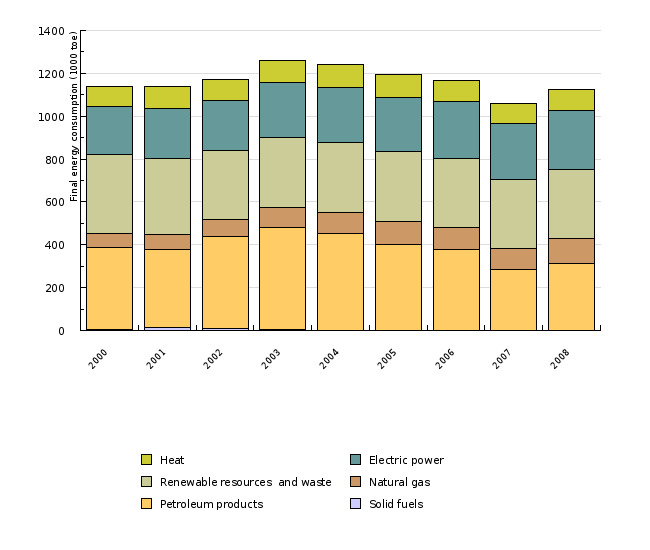 The data on the quantity and structure of final energy consumption in households by energy sources is derived from the SI-STAT Data Portal of the Statistical Office of the Republic of Slovenia, November 2007, the Energy Balance Dataset (1000 toe), Slovenia, annually.